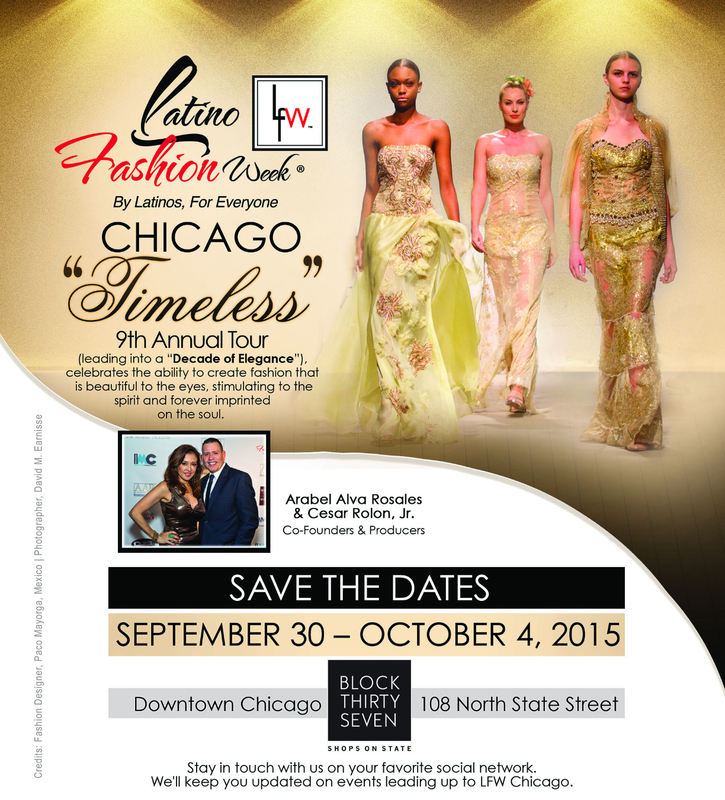 Latino Fashion Week Chicago 2015 - Save the Dates! Latino Fashion Week® |LFW™|, the premier resource institution for those in the Latino Fashion Industry, is the only full week and tour created to support the talent of local, national and international Latino designers. LFW represents a milestone for designers looking to break into this industry. at Block Thirty-Seven, 108 North State Street in Downtown Chicago. Fashion Designer, Paco Mayorga (Mexico) - LFW Chicago 2014. Copyright © 2015 latinofashionweek, All rights reserved. CineYouth Festival Opening Night May 7! Film will be followed by a reception catered by Connie's Pizza and featuring KIND Healthy Snacks, Action Booth and the Hometown Button Co. button bar! Opening Night is FREE and open to the public of all ages! RSVP here. When Shaun decides to take the day off and have some fun, he gets a little more action than he bargained for. A mix up with the Farmer, a caravan, and a very steep hill lead them all to the Big City and it's up to Shaun and the flock to return everyone safely to the green grass of home. Learn more and watch the trailer here. SHAUN THE SHEEP MOVIE is a StudioCanal and Aardman Animations production, produced by Julie Lockhart and Paul Kewley from Aardman Animations [WALLACE AND GROMIT, CHICKEN RUN], written and directed by Mark Burton and Richard Starzak. The critically acclaimed, worldwide sensation, SHAUN THE SHEEP MOVIE will open domestically from Lionsgate on August 7, 2015 in wide release. CineYouth continues through May 9 with FREE film screenings of 90 shorts films made by filmmakers 4-21 years old, a hands-on Film Challenge and more! Click here for the full CineYouth schedule! MakeSpace Expands Five-Star Rated On-Demand Storage Service to Chicago and Washington, D.C.
Users schedule a delivery, online or by phone, and a MakeSpace Uploader delivers high-quality bins right to their door. After users fill their bins with keepsakes and belongings to store, a MakeSpace Uploader whisks them away to its secure storage facility. At its secure storage facility, MakeSpace creates a visual catalog of each bin so the user always knows what’s in storage. Users can request bins be returned to them with just a few clicks, whenever and wherever they want. This expansion will give Chicago and D.C. residents and businesses access to a simple, convenient and affordable storage solution. No longer will they need to be tied to their physical belongings or deal with the hassles of traditional self-storage. MakeSpace will now do all the heavy lifting in these markets, making residents rethink how they feel about their belongings and be able to use the service as a lifestyle extension. With one in 10 American households renting a storage unit, this expansion confirms MakeSpace’s commitment to take on the $24 billion a year self-storage industry. MakeSpace also has an opportunity to grow the market, as customers who previously would never have used self-storage are using MakeSpace as an extension of the home, acting as a second or third closet. MakeSpace has received total funding of $10.1 million from investors including Upfront Ventures, Founders Fund, entertainer turned business mogul Ashton Kutcher, and New York Knicks superstar and digital athlete Carmelo Anthony, among others. $29 flat rate, which is less than a round-trip taxi to a storage facility in New York City, Chicago and Washington, D.C.
is a next-generation, on-demand storage solution that takes the pain out of traditional self-storage in New York City, Chicago and Washington, D.C. With a few clicks, MakeSpace delivers bins to users' doors. Once users pack their belongings inside the bins, MakeSpace picks them up from their door and creates a photo catalog of each bin so stored items are viewable and retrievable at any time. MakeSpace Air provides the same hassle-free solution to those residing anywhere else in the contiguous United States. MakeSpace is headquartered in New York City. Find out more about MakeSpace and get started for $25 a month at www.makespace.com. 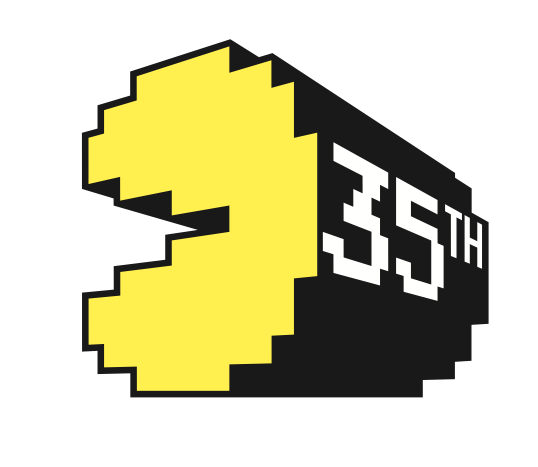 TM, NAMCO USA INC.'s brand new dining and entertainment concept inspired by PAC-MANTM, is proud to be the official global headquarters for the celebration on Friday, May 22nd, and Saturday, May 23rd, 2015.
will present the official birthday cake to PAC-MANTM. The celebration will kick off with a media panel discussion on Friday, May 22nd at 2pm, featuring notable players and celebrities in the history and future of PAC-MANTM, including Professor Toru Iwatani, leader of NAMCO's development team for the original PAC-MANTM game and currently featured as a character in Sony Pictures' upcoming movie Pixels. There will be another panel, followed by meet and greets, solely for fans on Saturday, May 23rd at 11:30am. Among these industry luminaries are Billy Mitchell (e-sports icon and the first person to chomp up a perfect score on the PAC-MANTM arcade game), Walter Day of Twin Galaxies, and other special guests to be announced. Media and fans will get the answers to questions they've always dreamed of asking and gain behind-the-scenes insider knowledge. Saturday's fan panel discussion is free to enter and likely to fill up quickly. Fans will also have the chance to meet with their video game heroes for signings and photos. Throughout the weekend, guests can also view Pixels movie props, special clips, and footage as well as try the brand new Pixels game from Bandai Namco Entertainment. 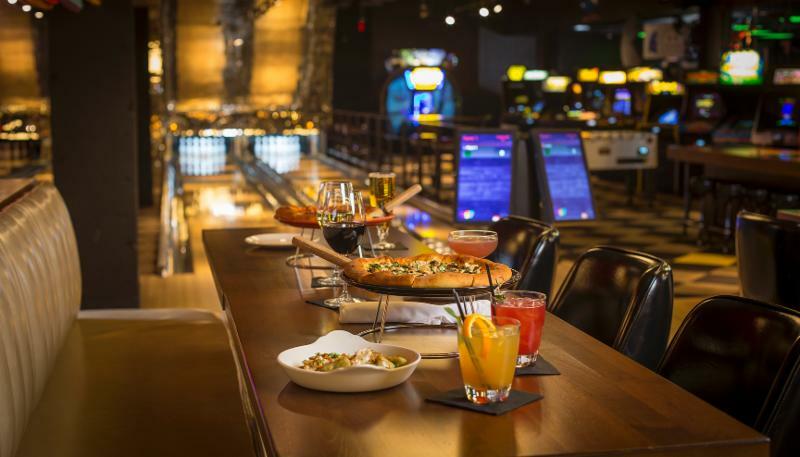 Inspired by NAMCO's most famous creation PAC-MANTM and named for the legendary level 256 PAC-MANTM 'split' screen that few have ever experienced, Level 257TM is a multifaceted urban-chic space where food takes center stage and play is encouraged. The experience is all about being social - through food, drinks, nostalgia, and a little bit of friendly competition. The venue will continuously evolve; creating a destination that turns convention on its head to celebrate the culture of play. The dining experience is orchestrated to bring contemporary food and spirits to old school play. In Pixels, when intergalactic aliens misinterpret video-feeds of classic arcade games as a declaration of war against them, they attack the Earth, using the games as models for their various assaults. President Will Cooper (Kevin James) has to call on his childhood best friend, '80s video game champion Sam Brenner (Adam Sandler), now a home theater installer, to lead a team of old-school arcaders (Peter Dinklage and Josh Gad) to defeat the aliens and save the planet. Joining them is Lt. Col. Violet Van Patten (Michelle Monaghan), a specialist supplying the arcaders with unique weapons to fight the aliens.Directed by Chris Columbus, the screenplay is by Tim Herlihy and Timothy Dowling with a screen story by Tim Herlihy, based on the short film by Patrick Jean. The film is produced by Adam Sandler, Chris Columbus, Mark Radcliffe, and Allen Covert. Aging expert Dr. Bill Thomas is travelling around the country this spring bringing new energy and vitality into late adulthood and beyond. His message about aging is invigoratingly simple – the transition into our elder years should not be filled with frenzied disharmony. We need to reimagine and create clear and satisfying purpose to how we spend the rest of our lives. Dr. Thomas, a Harvard educated physician and author of the book Second Wind: Navigating the Passage to a Slower, Deeper, and More Connected Life, believes that society has twisted things around and created a diminished and demeaning picture of age and aging. He is the keynote speaker at a special event and will talk about how to turn the tables on “Life’s Most Dangerous Game” and how to approach aging with the skill and enthusiasm it requires. TIME: Doors open at 6:30 p.m.; Curtains up at 7:00 p.m. COST: Suggested donation of $25. Dr. Thomas teaches that there is a better way and explains how people can reframe their attitudes so they can experience a heightened sense of meaning and connection with age. 1. Protect your kids and elders from the cult-like addiction and devotion to youth. Push back against the encroachment of inverted values on kids’ and elders’ turf. Let the kids be kids and let the elders grow old gracefully. Say no to standardized tests in kindergarten. Don’t worship youth as perfection. 2. Ignore the Anti-Aging Gurus and Quackery. Toss the creams, supplements, and elixirs. Say no to botox, human growth hormones and other expensive and even dangerous snake oils that give you nothing but false hope. Resist the pressure and don’t succumb to the idea that the only good older person is one who looks and acts like a younger person. 3. Look in the Mirror and Embrace Yourself. Love yourself the way you are. Don’t accept the idea that aging is defined solely as a matter of decline. Rejoice in the fact that lots of things get better and improve with age. Enjoy the fact that there is more happiness and less stress, anger, and strife. 4. Slow down and focus on quality time. Stop letting your time-saving gadgets, apps, and technology take over the natural rhythms in your life. Turn them off. Turn the volume down. Get away from them. Go outside. Take a walk every day. Meditate. Have a conversation with a loved one. Break the pandemic hurry sickness. 5. Choose how you spend your time. Think about how you spend each day. Choose to do less things you don’t like or enjoy. Choose to do more things that you like to do. Don’t say yes, when you want to say no. Say no and do what you want to do instead. Spend more time with the people you enjoy and less time with the people you don’t. 6. Volunteer Your Time to Help Others. Get involved somewhere – anywhere you can spend time helping others. Enjoy the fact you have abundant time to devote to others. Give yourself to help others and you will strengthen the bonds between you and other people in your community. 7. Take up a new hobby or an old one you abandoned. Spend more time doing something you really love and are fascinated with. Experience the wonder and joy of trying new things and developing skill and even expertise you never imagined was possible. Don’t be afraid to be a beginner. Share your creations with others frequently so that you look forward to more unique and special opportunity to connect and engage. 8. Call your elders more frequently. If you don’t have one, get a surrogate, no matter your age. Reach out, communicate and engage with more elders more frequently. Realize that the time you spend with them is a gift beyond measure. Seek out and learn more ways to make their time interesting and enjoyable. Learn to appreciate and benefit from the time you have to talk to them, guide them and exchange much needed wisdom. 9. Protect Your Play Time. Don’t let the cult of adulthood wreak havoc on your play time. Liberate yourself and experience the joy and energy that results from spontaneous, unstructured play. If you need help figuring this one out, find a child to guide you. If you are with your elders, break out a game of cards, checkers, or Monopoly. Everyone lives better when they have enough unstructured playtime. 10. Organize and attend a croning or saging party! Get together with other men and women and spend time showcasing the things you appreciate, sharing your knowledge, crafts, creations and stories, bestowing respect, honor and dignity on each other. Instead of allowing society to marginalize you and others because of your age, come together and celebrate your coming of age. Champion one and all to become a “crone” or “sage” as an act of empowerment. Reimagine Your Life: The reason we need to outgrow youth is that when we are young we are trained to value competency and specialization. It is a juvenile's obsession with competence that traps so many older people in lives they no longer want to lead, doing work they no longer want to do, afraid to try something new. Aging, rightly understood, offers us vast new worlds for exploration because, unlike the young, we can choose to value either competence or possibilities and we have the right to change our mind about which is more important to us-- any time we like. It is aging that gives us the power to reimagine life. Dr. Bill Thomas is an internationally recognized expert on aging. He is an Ashoka Fellow and winner of the Heinz Award for the Human Condition. He co-created The Eden Alternative, an international nonprofit, and The Green House Project, both models to revolutionize nursing home care. In addition to teaching, speaking, and consulting internationally, he is currently a Senior Fellow of AARP's Life Reimagined Institute. A graduate of the State University of New York and Harvard Medical School, he lives in Ithaca, New York with his family.